﻿ 19 Tips to Help You Get and Stay Motivated » Red Mango Marketing! It can be lonely at the top! And in the long run, that can be a major de-motivator for the small business owner. Of course, the stress and the long hours can also make it difficult to maintain your enthusiasm or commitment to your small business. If you’re wondering how to get your motivation back, try out these 19 different motivation tips. They range from concrete tactics that require actions on your part for them to work for you, to attitudes you need to adopt to keep motivated at work…and life. None of them are difficult, but for many of us, they take a conscious effort to adopt and to stay with over the long term. 1. Feed your brain each day — read. Motivation starts upstairs. New ideas and new ways of looking at things will keep you fresh. 2. Regularly revisit and write down realistic goals. Both short term and long term. You need to know where this race is taking you and be on board with the destination(s). 3. Work on your main, big goal each day. Don’t let the big obstacles become too daunting for you. Master them, little by little. 4. Focus individually – No multi-tasking! – on smaller goals and knock them out. Despite what people think, we are lousy multitaskers and it ends up costing us dearly in our efficiency. 5. Take breaks during the workday. Try out the Pomodoro technique. Short breaks to refresh your brain and even stretch your legs a bit will keep your mind and body in tone. 6. 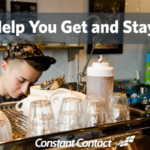 Keep personal contact with customers. This keeps you grounded. What you’re doing matters to people. That should always help keep you motivated. Tip: Use these ideas communicate in a way that builds customer loyalty and trust. 7. Network with encouraging peers. There is strength in numbers. As a kid, you probably had the courage to do things with your friends that you wouldn’t dare try alone. Now, networking opens more doors for collaboration and partnerships. 8. Meet regularly with a coach or mentor. Sometimes you’ll need direction and feel like you’re in over your head. A good mentor or coach will have the guidance and perspective that you need to forge on successfully. 9. Recognize and work to increase the value you’re creating for customers/clients. You are creating something real that makes people’s lives better and helps them accomplish their goals. This is positive reinforcement. Tip: Here’s how to add value to your customers through your marketing. 10. Stay or get organized. You don’t have time to be looking for “those papers” over and over again. Make life easier on yourself. 11. Start your day strong. Knock off tasks in the morning. When you make this a habit and start to enjoy the results, you’ll have a strong motivation to get out of bed and get at it. 12. Pull the trigger. Be action oriented. Don’t just sit there; do something! You can correct mistakes. You can’t correct actions never taken. 13. Be just as serious about your time away from work. You know what they say about “all work and no play.” Set aside time for yourself and your loved ones to travel, relax, and enjoy new experiences. 14. Maintain your health, body, and mind. Meditate. Grow stronger physically, spiritually, and mentally. Change your routines. Habits that create efficiency are good things. Habits that become ruts are bad things. Switch things up every so often. Move your office or desk. Take public transit instead of driving to work. 16. Be an expert in your field. Don’t forget the wider interest area of your business. Become one of the go-to authorities. You’ll feel better about yourself and it will also be good for business. Tip: Here’s how to create a newsletter that builds credibility and shows off your expertise. 17. Hang around positive people. Even in your private life, surround yourself with positive people. Don’t let others pull you down with them. 18. Visualize where you want to be in five years. Know what you are ultimately working for. Keep a vision board if that helps. 19. Don’t forget your outside interests. Don’t let your hobbies and other interests get sucked down the black hole of an all-consuming work schedule. The energy that recharges your batteries will do a lot toward keeping you motivated at work. While most small business owners have days when they question if all the hard work is really worth it — given the chance, most of us would do it all over again. If you’ve been feeling off on your own lately, listen to an episode of the Small Biz Stories podcast. You’ll hear similar challenges from small business owners across different industries who are working to beat the odds and find success. Have any tips on how to stay motivated? Share them in the comments. We can all benefit from them! The post 19 Tips to Help You Get and Stay Motivated appeared first on Constant Contact Blogs. This entry was posted on Tuesday, June 21st, 2016 at 10:45 am	and is filed under Business Tips, Fresh Insights, News & Updates, Small business tips. You can follow any responses to this entry through the RSS 2.0 feed. Both comments and pings are currently closed.